As noted in a previous entry in this blog, the use of certain genetically modified plants as feedstocks for biofuel production may be subject to regulations promulgated by the U.S. Department of Agriculture (USDA), that have been used for over two decades to regulate the agricultural biotechnology industry. In this posting I will briefly describe the history and rationale of this rule, and describe its provisions and requirements and how it may affect the development of transgenic plants as improved biofuel feedstocks. The next entry in the blog will discuss the growing number of transgenic plant varieties intended for biofuel use that have already been submitted for USDA review under this rule. USDA’s biotechnology regulations, found in 7 CFR Part 340 of the Code of Federal Regulations, have been the major U.S. government rules that have covered uses of transgenic plants in agriculture and more recently the increasing interest in using plants for other industrial purposes, such as production of pharmaceuticals, industrial products, and phytoremediation. These rules were put into place in 1987 as an immediate outgrowth of the government’s “Coordinated Framework” for biotechnology regulation, which had its genesis in the early to mid 1980s as the Reagan Administration began to grapple with developing a suitable approach to regulating the commercial applications of biotechnology, a question which became wrapped up in political and public controversy. The government eventually decided to have biotechnology governed by existing laws and regulations to the greatest extent possible, and published its strategy for doing so in a Coordinated Framework document issued on the last day of 1984 and finalized in June 1986. In this Framework, USDA proposed to use existing statutory authority under a law then known as the Plant Pest Act to regulate certain genetically engineered plants intended for field testing and eventual commercial use in the open environment, to assess the potential environmental effects of such uses. The basis for this rule was the possibility (however remote) that such engineered plants might pose a plant pest risk. New regulations would be needed for this purpose – at that time, USDA maintained regulations governing the importation and interstate movement of specific microorganisms, fungi and plants known to be plant pests, but those regulations could not be used for transgenic plants that were merely considered “potential” plant pests, and so new rules were needed. In the June 1986 Framework document, USDA published proposed rules under the Plant Pest Act that would allow it to regulate outdoor uses of transgenic plants. These regulations were finalized in June 1987 in essentially the same form as the proposed rule (52 Federal Register 22892- 22915). Technically, these regulations do not cover all genetically engineered plants, and instead cover only those plants engineered to contain nucleic acid sequences from certain genera that contain species that were considered to be potential plant pests. The regulations included a fairly broad list of such genera, and this had the practical effect of causing most transgenic plants to be captured by the regulations: this was because the genus Agrobacterium was on the list, and in practice, DNA sequences from Agrobacterium tumefaciens were almost universally used in plant transformation procedures, and the presence of A. tumefaciens DNA in the resulting plant would often be enough to subject the transgenic plant to regulation under this rule. The regulations were to be administered by the division of USDA known as the Animal and Plant Health Inspection Service (APHIS), which already had responsibility for the existing plant pest regulations and other rules designed to protect plant or animal health. Today, the agency’s biotechnology program is handled through a dedicated office within APHIS called Biotechnology Regulatory Services (BRS). Under the original 1987 version of these rules, permits were required for almost all proposed field uses of genetically engineered plants. For those transgenic plants falling under the regulations, the rule required that permit applications be submitted 120 days before any proposed outdoor use. Applicants for these permits were required to submit a detailed description of the modifications made to the plant, data characterizing the stability of these changes, and a description of the proposed field test and the procedures to be used to confine the plants in the test plot, and submitters also had to assess potential environmental effects, such as the potential for the plant to gain weedy characteristics or the chances of the transgene outcrossing to related wild species (summarized in the Table below). Special requirements may also apply for industrial or pharmaceutical uses of transgenic plants, particularly that the field test must be separated by a “substantial distance” from any sexually compatible crops, and that a 50-foot fallow zone must surround the plot. Under the permit system, specific approval must be obtained for each desired field site, as well as for each new planting, although a single permit can cover multiple field sites, and recently USDA has begun issuing multiple-year permits for field tests involving perennial plant species. Stability of vector and introduced genes. Presence of infectious, pathogenic, toxic or deleterious functions encoded by introduced DNA. Reproduction and pollen/seed dispersal mechanisms. Ability to outcross with related species (particularly wild relatives). Potential weediness (ability to compete, survive and spread in the environment). Need for physical isolation from sexually compatible species. Standard Operating Procedures for planting, maintaining and monitoring plants. Post-termination scouting for volunteer plants (i.e. progeny of the transgenic plant that might arise in growing seasons after the termination of the test). After the agency gained experience with the issues posed by research field tests of transgenic plants, the regulations were substantially relaxed, first in 1993 (58 Federal Register 17044-17059), and then again in 1997 (62 Federal Register 23945-23958), with the creation of a much simpler notification process for those plant species deemed to have low potential risks. Under the current version of the regulations, transgenic varieties of most common agricultural crops and other familiar plant species can be used in research field tests simply upon 30 days advance notice to APHIS, and the submission of only minimal information about the modified plants and the proposed field use. Only less-familiar uses of transgenic plants are now required to undergo the longer permitting process, which is still administered much as it was under the original regulations. In addition, the revised regulations provided a procedure under which applicants can petition to have specific transgenic plant varieties “delisted” following several years of safe field tests, to proceed to commercial use and sale without the need for yearly permits. This is the procedure that has been successfully used by agbiotech and seed companies to have their transgenic seeds cleared for commercial sale and unlimited use by farmers, and the many varieties of transgenic seeds now on the market and grown throughout the United States have undergone this “delisting” procedure. These regulations have been extremely successful in fostering the growth of the U.S. agricultural biotechnology industry, and in allowing field testing and ultimately commercial use of transgenic plants to take place under an orderly, reasonable system in which potential environmental effects are reviewed and assessed. Through the date of this writing (May 2010), APHIS had authorized approximately 15,000 field releases of transgenic plants under permits or notifications, encompassing 175 different species. The great majority (about 90%) of the field releases have been under notifications rather than permits. To date, APHIS has approved 78 delisting petitions for commercialization of engineered crop varieties, and although many of these have proceeded swiftly to approval, several recent applicants have encountered significant delays and/or had to deal with specific questions of the environmental impact of the transgenic plant. In 2003, USDA began requiring that certain proposed outdoor uses of transgenic plants be reviewed through the permit process rather than through the notification procedure. Covered by this policy change were plants engineered to produce pharmaceutical products, plants engineered to produce industrial enzymes or other specialty chemicals; and transgenic plants for use in phytoremediation. Although not explicitly stated, the outdoor growth of transgenic plants as biofuel feedstocks would very likely fall under this requirement, although some small-scale research uses of transgenic varieties of certain common crop plants or other familiar species might be allowed to go forward under notifications. Therefore, companies and academic research groups developing transgenic plants as improved biofuel feedstocks should anticipate that they will likely need APHIS permits even for small-scale field testing, and that they will need to go through the delisting process to certify the transgenic variety for commercial sale. As of this writing in May 2010, APHIS had issued about 75 permits for field tests of plants either expressing pharmaceutical or industrial products or engineered for improved phytoremediation. A number of permits have been issued for transgenic plants designed as improved biofuel feedstocks, and these will be discussed in the next entry in this blog. For the past several years, APHIS has been developing plans to update and revise the biotechnology regulations, with the goal (according to the agency) of better positioning USDA to address new challenges, as well as meet current needs in evaluating and addressing the plant pest or noxious weed risks associated with the importation, interstate movement, and field release of certain engineered organisms. Another driving force for this change was Congressional passage in 2000 of a new law, the Plant Protection Act, that incorporated and combined the old Plant Pest Act and another longstanding law, the Noxious Weed Act, so that the USDA biotech regulations now drew their authority from the new 2000 law, which had a broader scope than the original Plant Pest Act. APHIS issued a Draft Environmental Impact Statement in July 2007 which summarized issues it was considering as it contemplated regulatory revisions, along with some specific options for such revisions. This Draft EIS was opened for public comment, and as a result, APHIS issued Proposed Regulations in October 2008, and these proposed rules included a multi-tiered permit system and the elimination of the notification procedure (the idea would be that the low-risk tests now conducted under notifications would require permits, but would qualify for the least-stringent tier of permits). USDA received comments from more than 15,000 people during the original 45-day public comment period, and the agency reopened the comment period in January 2009 to allow further opportunity for public input. The comment period was later extended until June 2009, and APHIS has also held a number of public meetings and workshops during this time. The agency has said nothing further since mid-2009, and a timetable for issuing a new Final Regulation is not known (see link above for current status of the proposed rule). Although the details that will emerge in final regulations are still unclear, it is likely that uses of transgenic plants for industrial purposes such as biofuel production would continue to require project-by-project permits, and in fact under the 2008 proposed rules, APHIS suggested that all industrial uses would likely qualify for one of the permit tiers requiring a greater degree of oversight. Although the need for USDA permits can be seen as one more hurdle to be surmounted in the development of improved biofuel feedstocks, in reality the biotech regulation poses only a minor regulatory barrier. Agbiotech and seed companies have been living under this regulation for over 20 years, and they have found USDA APHIS easy to deal with, and that the agency’s Biotechnology Regulatory Services branch applies sound scientific principles to its review of notifications and permit applications. Many observers consider the USDA regulatory regime to be one of the reasons why the agricultural biotechnology industry has ultimately been successful in introducing into U.S. agricultural markets transgenic seeds for improved varieties of many important crop species, in that the regulations provided a predictable, scientifically-sound path to approvals of field tests and commercial use of engineered plants. D. Glass Associates, Inc. is a consulting company specializing in several fields of biotechnology. David Glass, Ph.D. is a veteran of nearly thirty years in the biotech industry, with expertise in industrial biotechnology regulatory affairs, patents, technology licensing, and market and technology assessments. This blog provides back-up and expanded content to complement a presentation Dr. Glass made at the EUEC 2010 conference on February 2, 2010 entitled “Prospects for the Use of Genetic Engineering in Biofuel Production.” The slides from that presentation, along with more information on D. Glass Associates’ regulatory affairs consulting capabilities, are available at www.slideshare.net/djglass99 or at www.dglassassociates.com. The previous entries in this blog described U.S. Environmental Protection Agency (EPA) regulations under the Toxic Substances Control Act (TSCA) that may cover the use of certain genetically modified microorganisms in biofuel production. In this final posting about these EPA regulations, I’ll cover some practical issues about how these regulations have affected biofuels projects to date, with some implications for the future. To summarize the prior entries, the TSCA Biotech Rule covers certain modified microorganisms, specifically those containing deliberate combinations of coding nucleic acids derived from more than one taxonomic genus, but only when those organisms are used for commercial purposes not regulated by other federal agencies. The use of microorganisms or algae to produce ethanol, butanol, biodiesel or other biofuels is an industrial application that would almost certainly fall under TSCA jurisdiction. For those modified microorganisms falling under the rules, most R&D uses (including pilot plants) would probably be exempt, but applicants contemplating commercial use of a covered microorganism must notify EPA at least 90 days before commencing manufacture or import, filing a notification document called a Microbial Commercial Activity Notice (MCAN). EPA has been receiving MCANs and other notifications of biotechnology products under its interim TSCA policy since 1987 and under the current rules since 1997, and these regulations have not proven to be a barrier to industrial biotechnology companies, including those developing biofuel products or processes. Most of the notifications EPA has received have been for uses of intergeneric microorganisms to manufacture industrial enzymes and specialty chemicals. Among the MCANs filed for industrial enzyme production, the following notifications from Genencor and Novozymes are for enzymes that are applicable to the production of cellulosic ethanol or other biofuels. Genencor International Inc. MCAN No. J04-0005. Modified Trichoderma reesei for the production of an alpha-amylase. Submitted September 28, 2004. Notice of Commencement filed February 28, 2008. Genencor International Inc. MCAN No. J05-0001. Modified Trichoderma reesei for production of a beta-glucosidase preparation. Submitted January 24, 2005. Notice of Commencement filed August 29, 2006. Novozymes North America, Inc. MCAN No. J07-0001. Modified Trichoderma reesei for the synthesis of a cellulose-degrading protein preparation. Submitted December 1, 2006. Notice of Commencement filed May 9, 2007. Novozymes North America, Inc. MCAN No. J09-0002. Modified Trichoderma reesei to produce a cellulolytic protein preparation for ethanol production. Submitted February 27, 2009. Notice of Commencement filed September 18, 2009. Novozymes North America, Inc. MCAN No. J09-0004. 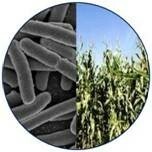 Modified Trichoderma reesei to produce cellulose-degrading enzymes for ethanol production. Submitted September 3, 2009. In recent years, EPA has received other MCANs for genetically modified production organisms where the organism itself is designed for use in cellulosic ethanol production. I’m aware of at least these three MCANs covering such production organisms (note that there are a few MCANs where so much information is claimed as “confidential” that the proposed use of the strain is not available to the public, so it is possible that there are additional MCANs for biofuel production organisms). Verenium Corporation. MCAN No. J08-0001. Escherichia coli strain BD26981, engineered to express Zymomonas mobilis genes for the conversion of pyruvate to ethanol: pyruvate decarboxylase (pdc), alcohol dehydrogenase I (adhA) and alcohol dehyrodgenase II (adhB). In addition, the strain carries certain deletions of endogenous genes and also expresses green fluorescent protein. Submitted May 14, 2008. Verenium Corporation. MCAN No. J08-0002. Klebsiella oxytoca strain BD26985, engineered to express Zymomonas mobilis genes for the conversion of pyruvate to ethanol: pyruvate decarboxylase (pdc), alcohol dehydrogenase I (adhA) and alcohol dehyrodgenase II (adhB). In addition, the strain carries certain deletions of endogenous genes and also expresses green fluorescent protein. Submitted May 14, 2008. These two Verenium organisms are intended to be used with a naturally occurring, nonmodified strain of Trichoderma reesei in a multi-step ethanol production process in which lignocellulosic biomass is broken down into two streams – a liquid stream including sugars and a solid stream including cellulose and lignin, both of which are then fermented for further production of sugars (e.g. from the cellulosic material) and conversion of the sugars to ethanol and carbon dioxide. E.I du Pont de Nemours and Company. MCAN No. J09-0003. Zymomonas mobilis strain ZW801, modified to express four genes to enable the strain to utilize xylose as a substrate: xylose isomerase (xylA), xylulokinase (xylB), transaldolase (tal) and transketolase (tkt). Submitted September 2, 2009. The engineered strain will be capable of converting xylose into intermediate byproducts that can be fermented into ethanol, to supplement the natural ability of wild type Zymomonas strains to convert glucose, fructose and sucrose into ethanol. Note that MCANs are reviewed by EPA, but no formal “approval” is needed. If the Agency does not identify any unusual risks or any reason to extend its review during the 90 day review period, the MCAN is deemed to be cleared (or “dropped from review” in the terminology used at the EPA website) and the applicant can proceed to commercialization. Applicants must submit a Notice of Commencement when commercial use (or importation) is to begin, and as can be seen from the above, not all of the microorganisms covered by these MCANs have yet progressed to commercial use. I expect that EPA will see more MCAN submissions as more cellulosic ethanol firms and companies developing other biofuels begin to move towards commercial production using modified microorganisms and algae. As more companies begin to go through the regulatory process, or to consult with EPA to determine how their processes might be regulated, I think we’ll see a number of trends and common themes developing, and in addition, some interesting issues may arise which were probably not contemplated when the TSCA regulations were drafted in the 1980s and 1990s. Many production strains may be exempt from, or not covered at all by, the regulations. As described in the previous entries, there will be some biofuel production organisms that will fall completely outside the TSCA regulations, because they will not be intergeneric – the genetic modifications may consist only of gene deletions or insertion of heterologous genes from a donor organism of the same genus as the host – and such microorganisms would not be covered at all by the TSCA Biotech Rule. Other organisms may qualify for an exemption from MCAN filing under the regulations, because modified microorganisms based on certain common host strains with a history of safe industrial use may be eligible for either the Tier I or Tier II exemptions. In particular, E. coli and S. cerevisiae (both likely host organisms for fermentation of ethanol or other fuels) are both among the listed recipient organisms, and many modified strains of these species could qualify for an exemption. But remember that in order to qualify for the exemption, the applicant either has to certify that it will strictly comply with the containment requirements of Section 725.422 of the regulations (for the Tier I exemption) or to have EPA judge the proposed containment conditions to be equivalent to those requirements (for the Tier II exemption), so being “exempt” from the need for MCAN filing does not make an applicant exempt from the rule itself. Open bed algae reactors may not be considered as “contained structures”. Historically, many industrial processes using algae have been carried out in reactors that are very different from those used in microorganism fermentations. Many algal processes have made use of open-bed reactors, where the algae are grown in large open ponds to maximize exposure to sunlight and carbon dioxide, but it seems likely that such reactors would not meet the definition of “contained structure” under the Biotech Rule. The term “structure” is defined in the rule as any “building or vessel which effectively surrounds and encloses the microorganism and includes features designed to restrict the microorganism from leaving”, and it is doubtful that an open-bed reactor would meet this definition. This would probably cause EPA to treat any use of intergeneric algae in such a reactor as a “deliberate release” into the environment, subjecting the application to a higher level of regulation, not only at commercial stages but during R&D as well (under the Biotech Rule, R&D uses of intergeneric organisms outside of a contained structure, such as in an agricultural field test, do not qualify for the R&D exemption and instead require reporting to EPA under a process known as the TSCA Environmental Release Application). On the other hand, due to concerns about contamination of the reactor vessel and industrial espionage to steal proprietary algal strains, it is unlikely that many companies would consider using a novel, engineered algal strain in an open-bed reactor, and most would opt for some of the better-contained vessels that are becoming more common. Use of a modified microbial strain by a company other than its developer. Several companies in the biofuel industry are adopting business models under which they develop modified production microorganisms but do not intend to themselves use them to commercially produce fuel. Instead, the goal of such companies is to license these production strains to commercial biofuel producers, for use in the licensee’s facilities. This model potentially raises issues of “second party” use that may not have been fully contemplated by the framers of the Biotech Rule, because part of the MCAN process requires the developer of a modified strain to inform EPA of the process steps and containment conditions it intends to use for the strain. The Rule is clear that, for “single party” use of modified microorganisms (i.e., where the company creating the organism is the one that will be using it in commerce), the developer must follow the procedures specified in the MCAN, but the requirements are far less clear in the situation where a first party technology developer licenses or sells a modified microbial strain for commercial use by second party licensees or purchasers after the strain has been reviewed by EPA. The regulations do specify, in Section 725.155(h)(2), that the submitter of an MCAN must provide certain information about the intended commercial use of the modified microorganism, both in its own facilities and also “for sites not controlled by the submitter”. This requirement seems straightforward when “second party” sites are known at the time of MCAN filing, but the regulations do not make it clear what needs to be done if additional second party sites are proposed to be added after the MCAN has been filed and reviewed by EPA. Bear in mind that, once EPA reviews and clears an MCAN, the microbial strain covered by the MCAN is placed on the TSCA ”Inventory” of chemical substances and microorganisms that are allowed to be used in commerce, and under TSCA once a substance is on the Inventory, any party other than the developer can use that substance in commerce. I’ve actually consulted with EPA on this question, and an EPA official in the TSCA biotech program confirmed that once a microorganism is on the Inventory, other parties could use it freely, without necessarily being restricted by whatever process and containment conditions were specified in the developer’s MCAN. So, theoretically, if an ethanol producer wishes to license an engineered microbial strain from a technology developer that had filed an MCAN for that strain, the ethanol producer could be free to use the strain under any conditions it wanted. Of course, it may not be that simple, because the developer of the strain could require its licensees to abide by the same containment procedures as specified in the MCAN, a requirement the developer might include in its license agreements to protect its liability. In addition, when reviewing an MCAN, if EPA felt that a given strain posed some unusual risk, it is possible that the agency could find the authority under the regulations to impose restrictions on its use either by the MCAN submitter or by another party, but this seems unlikely for the industrial strains that would most commonly be used for biofuel production. Another possible scenario is where the technology developer obtained either a Tier I or Tier II exemption for a novel strain: in this case, the microorganism is not placed on the TSCA Inventory, and any second party licensee of that strain would be required either to certify compliance with the Tier I containment provisions; or file a Tier II exemption petition to have alternate containment provisions reviewed and accepted by EPA. Actually, the licensee could even decide to file its own MCAN for the strain, even if its biological make-up qualified it for one of the exemptions. In summary, there is beginning to be some track record with applicants successfully navigating the TSCA Biotech Rule to enable commercial use both of microorganisms engineered to produce novel biofuel enzymes, and also for novel microbial production strains for use in biofuel production. The applications to date have not been viewed as posing any unusual risks to health or the environment, and reviews of these applications appear to have been straightforward. As more biofuel organisms are submitted to EPA, no doubt certain trends will begin to emerge, and some of the uncertainties discussed above may well be settled. In any event, I feel quite strongly that the TSCA biotech regulatory process is one that can easily be managed and successfully navigated by companies that are able to plan in advance. The previous entry in this blog described U.S. Environmental Protection Agency (EPA) regulations under the Toxic Substances Control Act (TSCA) that may cover the use of certain genetically modified microorganisms in biofuel production. In this posting I’ll go into a little more detail about these regulations and discuss how companies can successfully manage possible EPA oversight under these rules. As described in the previous entry, the TSCA Biotech Rule covers only certain microorganisms, those containing deliberate combinations of coding nucleic acids derived from more than one taxonomic genus, when used for commercial purposes not governed by other federal agencies. The use of microorganisms or algae to produce ethanol, butanol, biodiesel or other biofuels is an industrial application that would almost certainly fall under TSCA jurisdiction in most cases. For those modified microorganisms falling under the rules, applicants must notify EPA at least 90 days before any proposed commercial use of the strain, using a procedure called the Microbial Commercial Activity Notice (MCAN). However, the applicability of the regulations to any modified strain will depend on the make-up of the microorganism in question. Specifically, some genetically modified microbes will fall completely outside the regulations and will thus not be subject to these provisions at all, while others may be subject to the rule but may qualify for one of the exemptions the regulations provide. So it is important to first assess, either on one’s own or in consultation with EPA staff, the status of the production microorganism under these regulations. (Please note that presubmission consultation with Agency staff is always recommended and is often quite helpful, and this will be discussed below. In addition, the discussion in this blog is of a general nature and should not be construed as legal or business advice, and each potential applicant should discuss your situation with a knowledgeable consultant or attorney to make determinations of how these regulations would apply to your particular circumstance). Companies planning use of modified microorganisms for biofuel production should begin by considering the following questions. 1. Is the proposed industrial use one that is subject to TSCA jurisdiction? For biofuel organisms, the answer to this question will most likely be “yes”, but this should be the threshold question, because microorganisms used for a purpose regulated by other federal agencies like the FDA or EPA’s pesticide branch would not be subject to the TSCA Biotech Rule. However, grey areas could arise if the microorganism was also intended for industrial uses other than biofuel production. 2. Does the microorganism fall within the scope of the regulations? The Biotech Rule defines a “new microorganism” as an “intergeneric microorganism”, which is defined to mean “a microorganism that is formed by the deliberate combination of genetic material originally isolated from organisms of different taxonomic genera”. Not all genetically engineered microorganisms will meet the definition of “new microorganism”, and those that do not will not be subject to regulation under the TSCA Biotech Rule. The most obvious class of microbes that may fall outside the scope of the regulations are those where the artificial modifications result only in the deletion of genes native to the host organism, or the enhancement of function or activity of genes and gene products naturally found in that host. Most such organisms would not meet the definition of “new organism” because they would contain no coding DNA of any genus other than that of the host organism, and such microbes would therefore not at all be subject to the regulations. However, care must be taken to analyze whether any foreign genetic elements may be retained in the final organism as a result of the genetic manipulations, for example, “scars” resulting from the use of the cre-lox system to delete endogenous genes. However, the presence of such non-coding DNA would likely not itself cause such a microorganism to be subject to the rule. One should also not forget that the presence of a marker gene, such as one encoding antibiotic resistance, could subject the organism to the regulations, if the origin of the coding sequences of the marker gene was from a genus other than the genus of the host organism. (Note that the presence of an antibiotic resistance marker is not itself a barrier to commercial use of a genetically modified strain, although it may possibly lead to some additional issues in EPA’s review, for those microbes covered by the rule). 3. Does the microorganism qualify for an exemption under the regulations? For those microbes that are judged to include coding DNA from different genera and are thus considered “intergeneric”, the next analysis would be whether the modified strain might qualify for one of the exemptions under the regulations. The Biotech Rule provides exemptions from EPA reporting for specific organisms that meet the qualifications established in the rule. The initial determination of whether an exemption might be available is based solely on the biology and make-up of the modified commercial microorganism, and can be made relatively easily by the applicant alone or in consultation with EPA. But as discussed below, it is important to remember that for neither of the two tiers of exemptions is the applicant completely removed from EPA oversight, and in fact the availability of one of the exemptions requires stricter adherence to certain procedural controls than the other exemption or even for microbes subject to full EPA notification and review. What I call the “biological criteria” for exemption consists of two prongs. First, the host, or recipient, organism must be one that is included on the following list, found in Section 725.420 of the regulations, that includes many well-studied species with long histories of use for industrial purposes. Second, as specified in Section 725.421, the introduced genetic material in the microorganism must be well characterized (that is, the function of all introduced DNA is known); must be limited in size to the minimal genetic information needed; must be poorly mobilizable, that is, that the ability of the genetic material to be transferred and mobilized has been inactivated and that the frequency of transfer is less than 10-8 transfer events per recipient; and must be known to be free of harmful sequences. meet several criteria. Given the precision possible in today’s recombinant DNA techniques, these conditions should be easy to meet. Again, for applicants intending to use a modified strain of one of these listed host organisms, it should be easy to ascertain whether these “biological criteria” for the exemption have been met, although consultation with EPA will often be desired. To qualify for one of the exemptions, organisms meeting the first two sets of criteria (the “biological criteria”) must be used in accordance with the guidance of Section 725.422 of the regulations, which specifies specific containment and control procedures to minimize the possibility that the engineered microorganism might inadvertently be released from the facility. If an organism meets the biological criteria, and the applicant can use the microbe in strict compliance with these Section 422 procedures, the process is eligible for a “Tier I” exemption and can be used commercially merely upon 10 days advance notice to EPA. For microbes meeting the biological criteria but which are intended for use under conditions less strict than the Section 422 procedures, the applicant can submit a petition for a “Tier II” exemption 45 days before intended manufacture. EPA would approve the Tier II request if it felt that the proposed containment and control procedures, although not identical to the Section 422 procedures, were sufficient for the organism in question. Note that the Section 422 procedures are also recommended for use with microorganisms subject to MCAN reporting. The Section 422 procedures and containment conditions can be found within the regulations on the EPA website. It would go beyond the scope of this blog entry to describe them in detail, but they pertain to the use of commonly-accepted procedures to inactivate the microorganisms after their commercial utility is completed and to otherwise minimize the chance that living organisms can escape the fermentation vessel or a closed production system; and to procedures for ensuring that all workers take appropriate precautions to avoid being exposed to large quantities of living microorganisms; that access to the facility is controlled, and to put in place appropriate emergency procedures. At this writing it does not appear that any microorganism modified for a biofuel-related purpose has made use of the Tier I or Tier II exemptions; in fact it seems that no applicant has taken advantage of these exemptions for any microbe for any purpose. This may be because when proposing use of a modified microbe in an MCAN, the applicant has leeway to justify to EPA’s satisfaction that procedures differing from (i.e., less stringent than) the Section 422 procedures are adequate for the potential risk of the microorganism, whereas under a Tier I exemption the Section 422 procedures must be followed to the letter. 4. Is the microorganism intended to be used for a commercial purpose? As noted in the previous entry, many R&D uses of new microorganisms are exempt from MCAN reporting. A use of a new microorganism would qualify for the “small quantities” exemption under TSCA if it is intended to be used solely for purposes of research and development and is used in a suitably contained structure. The rule specifically contemplates that this exemption would apply broadly to many types of structures, including greenhouses, fermenters and process stream bioreactors, and applicants are given fairly broad leeway in designing and operating facilities to meet the “contained structure” definition. Under this definition, it is likely that most laboratory research in biofuels would be exempt from commercial reporting. In addition, many uses of engineered microorganisms in biofuel pilot or demonstration plants could also qualify for this exemption, as long as the microbe were used “solely” for R&D purposes. This is a question many companies may need to consider, depending on the disposition of the fuel and other byproducts that may arise from use of the process at pilot or demonstration scale. MCAN Reporting Requirements. If, after asking these questions, the proposed use of a modified microorganism meeting the “new microorganism” definition that is to be used for a commercial purpose subject to TSCA’s jurisdiction, and which does not qualify for an exemption, would likely require the filing of a Microbial Commercial Activity Notification (MCAN) 90 days in advance of the commercial activity. The information and other data that applicants need to submit in the MCAN are listed in Section 725.155 of the regulations, Much of the required information has to do with the biological characterization of the modified microorganism and a detailed description of how it was constructed, but information is also to be submitted on the proposed use of the microbe, the proposed production process, the containment and control procedures to be used, the likelihood for worker exposure and the steps taken to control exposure, and an assessment of the potential environmental effects of the microorganism should it be released from the facility. It is important to note that, in MCANs or other submissions to EPA under the Biotech Rule, the applicant can claim much or all of the submitted information as “confidential business information”, which the agency must keep confidential and which cannot be released to the public, but the applicant must provide EPA with the justification for the confidentiality claim (in fact, this justification must be included within the MCAN filing). EPA has published a detailed “Points to Consider” document summarizing the required data and the format for submission, which, together with guidance from the publicly-available versions of previously-filed MCANs (i.e. the parts of prior MCANs not claimed by the applicant as confidential), can be used to help applicants prepare MCAN submissions. (Note that EPA has recently issued new regulations for electronic submission of chemical premanufacture notices that is also applicable to MCAN submissions. This requirement is being phased in from April 2010 to April 2011). EPA review of MCANs can be expected to be fairly straightforward, and will focus on the potential risks and benefits of the commercial use of the modified microorganism. Most of EPA’s prior reviews of MCANs have taken place within the 90-day period specified in the regulations, although EPA has the power to unilaterally extend the review period by an additional 90 days, or to ask the applicant to voluntarily suspend the review period, if the Agency decides it needs more time. MCANs for the “contained” use of new microorganisms in bio-based manufacturing have generally not caused any concerns or significant issues in EPA’s review, and most have been routinely cleared for commercial use without any delays or difficulties. MCANs (like chemical PMNs) are not “approved” per se but if no issues emerge they are cleared for commercialization by EPA taking no action against the application. The applicant must then file a Notice of Commencement within thirty days of beginning commercial use or importation of the microorganism, a notice that requires submission only of minimal information. Planning an MCAN or other submission. As is the case with almost all interactions with regulatory agencies, applicants are strongly advised to consult with the appropriate EPA staff well in advance of making any formal submission. In my experience, the EPA TSCA biotech group is happy to meet with and provide guidance to any company or institution that is contemplating a submission under the regulations. The purpose of these meetings is usually for the applicant to briefly introduce the agency to the technology and the make-up of the organism(s) that would be subject to the submission, describe the proposed use, and begin a dialogue about the kinds of data EPA would want to see in support of the application, as well as to obtain the agency’s input on possible applicability of exemptions and/or the type of application that best suits the circumstances. EPA can usually conduct presubmission meetings under confidential conditions, so that not only the substance of the meetings but also the fact that the meetings are taking place can be protected as confidential and would not be releasable to the public under the Freedom of Information Act. Potential applicants should start the process well in advance of the proposed commercial start date. Speaking very generally, a good time to approach the agency would be at least 6 months, perhaps 6-9 months, before the anticipated start of commercial activity. After first setting up and conducting a meeting with agency staff, it should then require perhaps 2-3 months after the meeting to develop the needed data (in consultation with EPA), and to draft and finalize the MCAN. Naturally, it would be desirable to file the MCAN farther in advance of the intended commercial start date than the 90 days specified in the regulations, because of the small chance that the review period could be extended or suspended if more data needs to be submitted. Such EPA action is rare, particularly under the biotech regulations, but it would seem wise to give oneself at least 1-2 months leeway before the start date to allow for unexpected delays. The following is a summary of the activities that would likely be carried out in the preparation of any needed EPA submission. Contact EPA staff to arrange a presubmission meeting. Meet with EPA, discuss and obtain answers to any specific questions that may arise (it may take several weeks or even longer for EPA to answer any specific requests in writing). Begin to assemble the needed information and data, including biological information on the strain, description of the process and containment procedures, and any available information or data on possible environmental effects of the microorganism. Allow time for several iterations of internal review of the draft MCAN, and for outside legal review, if so desired. Allow time to compile and finalize all the information into the final MCAN, to prepare the information required to justify confidentiality claims (additional time may be needed to come up to speed on the new electronic submission procedures as well). MCAN No. J08-0001, received 05/14/08 from Verenium: Escherichia coli strain BD26981. MCAN No. J08-0002, received 05/14/08 from Verenium: Klebsiella oxytoca strain BD26985. MCAN No. J09-0003, received 09/02/09 from DuPont: Zymomonas mobilis strain ZW801. I will review these MCAN submissions in a future entry in the blog, in which I’ll also more specifically discuss how biofuels programs may be affected by the TSCA biotech rule, including the possible applicability of the rule in ways perhaps not originally contemplated by the drafters of the regulation.